France has a proud, centuries-old food culture that is considered to be the most prestigious in the world. And yet, lost in many discussions of haute cuisine is recognition of the country's humble but magnificent sandwiches. The universal form of bread, filling, bread takes unique shape in France, a country where you'll find some of the best ham, butter, and cheese on the planet, as well as baguette perfected over generations of obsession and craftsmanship. If you're headed to France, do not leave without eating these sandwiches. 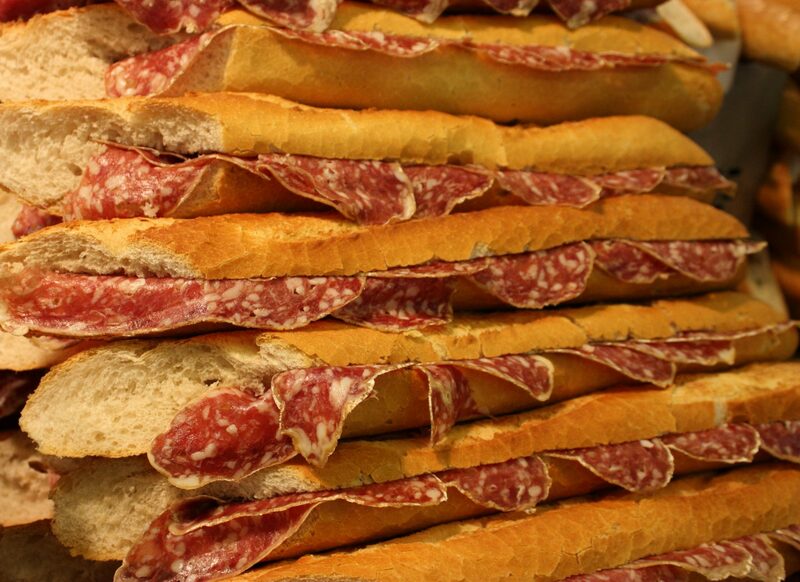 If you have no immediate plans to travel to France, plan a sandwich pilgrimage. We'll start simply, because the glory of French cooking is that simplicity lends itself triumph to when the ingredients are perfect. 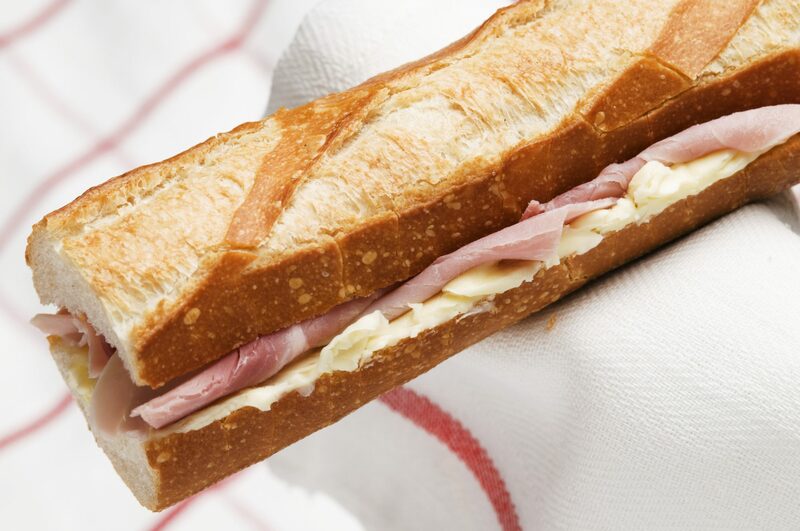 And so, this three-ingredient sandwich that you'll find at most boulangerie is the simplest of all: baguette, ham, butter. What more could you need? Eaten with a knife and fork, this béchemel-drenched brasserie classic is the perfect showcase for the marvel that is French eggs. 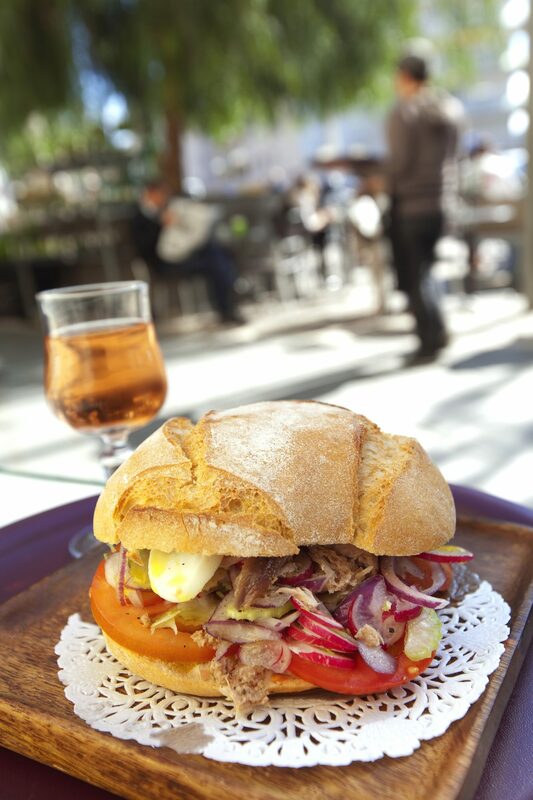 Argued by many to be the best in the country—nay—the world, the famous made-to-order sandwiches are served from a stall located in the Marché des Enfants Rouges, the oldest covered market in Paris. Chef Alain Roussel’s simple creations, served on fresh-baked bread, have attracted hours-long lines since opening in 2005; you choose the cheese (Comté or Cantal) and the fillings, and it's magic. 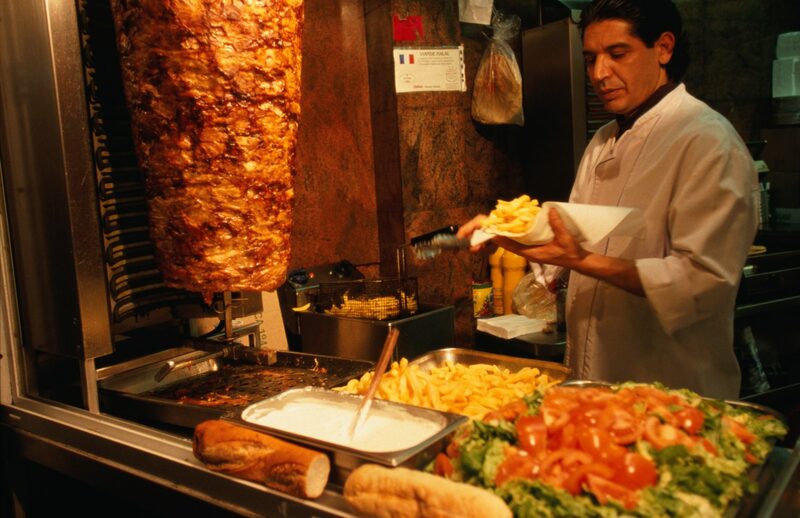 One of the greatest additions to France's thriving sandwich scene has been the doner kebab, a staple you'll find in cities across the country thanks to waves of Turkish immigration starting in the 1990s. Served hot and often alongside thick frites, the hearty meat sandwich is a late-night go-to when everything is closed but hole-in-the-wall kebob joints. 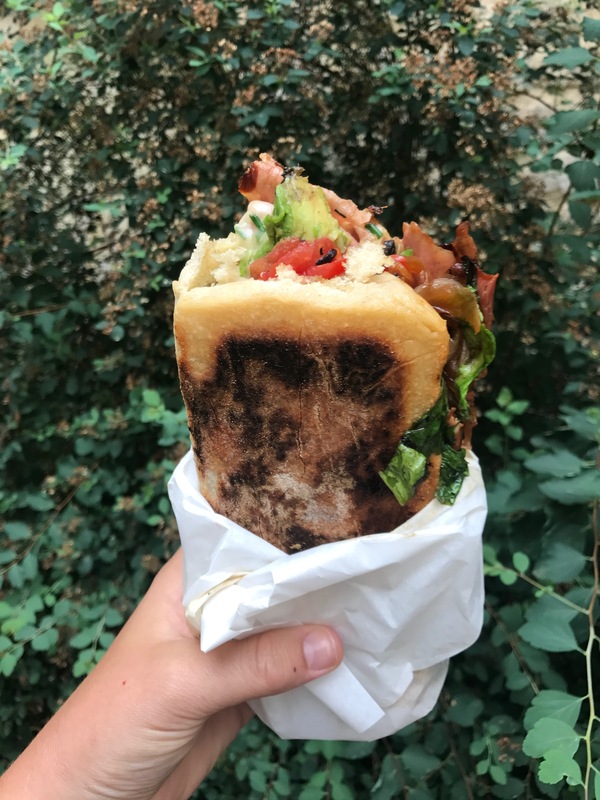 You can find excellent falafel throughout France, but the version you can't miss is served at L'As du Fallafel, on fluffy housemade pita, in the Marais neighborhood of Paris. Rather than being discouraged by the long lines, take pride in the fact that you're at the right place. 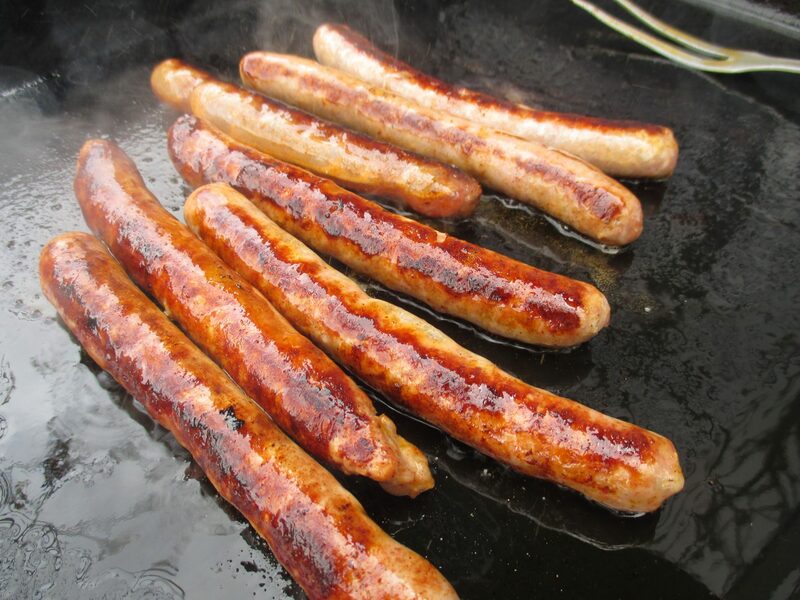 The chili-spiked lamb sausage from North Africa has become something of a national delicacy, perfuming open-air markets as they sizzle on the grill for sandwiches. Stuffing frites inside is never a bad idea, by the way. Speaking of sausage, no trip to France is complete without several snacks and meals and late-night promenades featuring cured sausage. A simple baguette filled with butter and thinly sliced saucisson sec does the trick, or opt for a sandwiched garnished with cornichon and moutarde. 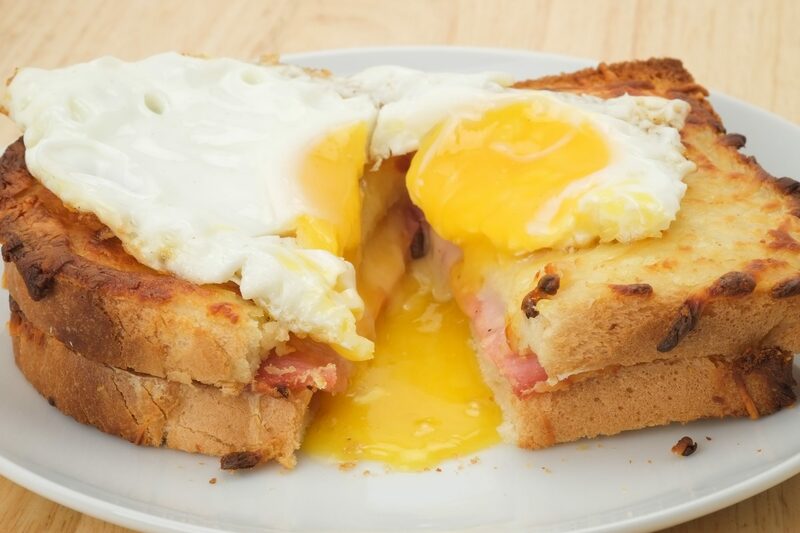 Because the best breakfast pastry deserves the ham and cheese treatment, too. Alright, hear us out. While the hamburger's tradition in France is shorter-lived than, say, the croissant's, it is still extraordinary, because a) the beef is excellent b) the cheese is excellent and c) French people cook them very, very rare.